In this product review, we will focus on Revitol Stretch Mark Prevention Cream. This product claims to contain a strong combination of ingredients that prevent stretch marks, reduce stretch marks, and strengthen your skin. It also claims to increase skin elasticity, strengthen collagen structure, enhance skin renewal, stimulate cell growth, and increase skin flexibility. Read on to learn more about this product. Squalene Oil (10%)- protects the skin and stimulates the generation of new skin. These qualities make it an important ingredient for reducing stretch marks. Vitamin E- helps in skin regeneration. It penetrates the skin and stimulates the development of new skin cells. The regeneration process promotes skin firmness and elasticity. Vitamin A– improves striae and regulate the growth of skin cells. Vitamin D3- takes part in cell production and complements the functions of vitamins E and A. It increases cellular activities around the striae. DL-Panthenol- boosts skin health by improving the upper and lower layers of your skin. It also helps in skin regeneration, which reduces stretch mark appearance. Aloe Vera- moisturizes and heals the skin. It also aids in skin regeneration. Grapefruit Seed- promotes skin health by promoting the production of elastin and collagen, which in turn strengthen the skin and improve skin texture. Elastin and collagen also contribute to the development of connective tissues by stimulating cell production. Use this cream at least twice daily. However, you can also use it three times a day for faster results. Spread a thick layer of the cream on areas with most stretch marks like the abdomen and breasts. Allow the cream to penetrate your skin before dressing. This process should take approximately five minutes. This product is safe for pregnant women. If you suspect that you might experience allergic reactions, test the cream before use by applying it on a small area of your skin. Wait for at least twenty-four hours and continue use if you do not experience allergic reactions. This product contains all-natural ingredients making it a safe product for all people including pregnant women and the developing fetus. However, the manufacturer acknowledges that some of the ingredients may cause allergic reactions. However, these reactions are rare in most users. The price of one tube on the manufacturer’s site is $39.95. Two tubes cost $69.95 while three tubes and one free tube cost $119.85. If you buy four tubes, you get two free tubes and the package will cost you $159.95. We are concerned that potential buyers might disregard this product because of the lack of a money-back guarantee. We found both positive and negative product reviews meaning that some users are satisfied while others are dissatisfied with the results. We suggest that you try this product because it has a powerful blend of natural ingredients that are safe and effective in striae reduction and skin rejuvenation. The advantages of this cream include price discounts and safety for most people. However, despite the presence of numerous positive reviews, there are significant negative reviews from users. In addition, we did not find a satisfaction guarantee and a single tube is relatively expensive. 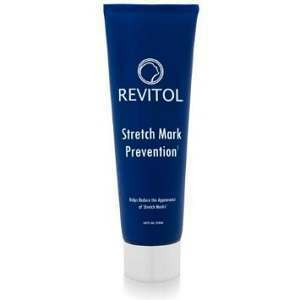 David Carney	reviewed Revitol Stretch Mark Prevention Cream	on August 15th	 and gave it a rating of 2.5.